Congratulations on your decision to apply for membership with Christian Schools International and to advance his kingdom by educating in the context of a transformational worldview. We look forward to receiving your application for membership. If applying for voting membership, please read our CSI Bylaws. 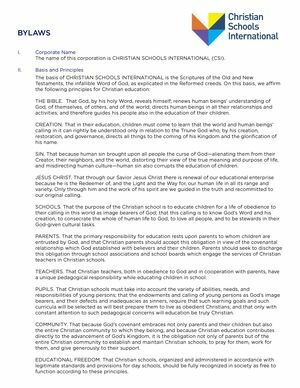 Member bylaws for Christian Schools International.